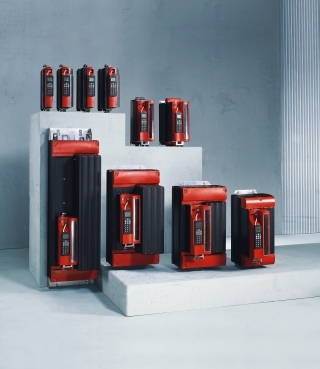 MOVIDRIVE® MDX60/61B is the new generation of drive inverters from SEW-EURODRIVE. The new B series MOVIDRIVE® drive inverters are impressive devices with extensive basic functions, a wide power range, great overload capacity and a modular unit design. They facilitate unrestricted application of AC drives with a power range of 0.55 to 160 kW (0.75 to 215 hp) with the most modern digital inverter technology. With MOVIDRIVE®, even asynchronous AC motors can achieve levels of dynamic performance and control quality that were previously only possible using DC motors. The integrated control and expansion options using technology and communication options create remarkably cost-effective drive systems as regards diversity of application, project planning, startup and operation.